Painting the model I wanted to create dirty white for the armour, which unfortunately is only partially achieved. Using this black and white colour scheme was done to mimic the classic StarWars stromtroopers which I think works quite well. 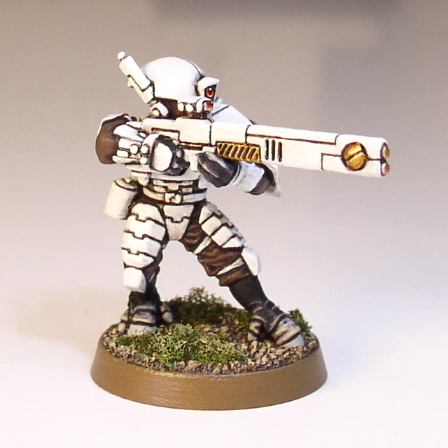 Since it is a test model for a unit I did not do a standard black-edged base but used Citadel Graveyard Earth instead.